This is properly one of the most simple recipes we have on this blog – maybe it can’t even be called a recipe. It’s more a simple reminder how delicious chocolate covered strawberries are. They are super easy to make and both kids and adults love them. Chocolate covered strawberries are great for a nice brunch, as a small dessert or maybe together with a good champagne at valentine. The type of chocolate is basically totally up to you. You can use milk chocolate, dark chocolate or even white chocolate – we personally prefer a dark and rich chocolate. This gives a strong chocolate taste which goes great together with the sweet strawberries. You can also try to melt both dark and white chocolate in two separate bowls and decorate the strawberries with both colors. Due to the relatively cold climate in Denmark and the other Nordic countries the outdoor grown strawberries are limited to a smaller period during the summer – Of cause it is possible to get strawberries all year around. However, we always try to avoid the strawberries grown in green houses or imported from countries far away. We think that the best strawberries are the ones from the outdoor fields. 1. Rinse the strawberries and let them dry on a sheet of paper towel. 2. Melt the chocolate in a hot-water bath or on low heat in the microwave. 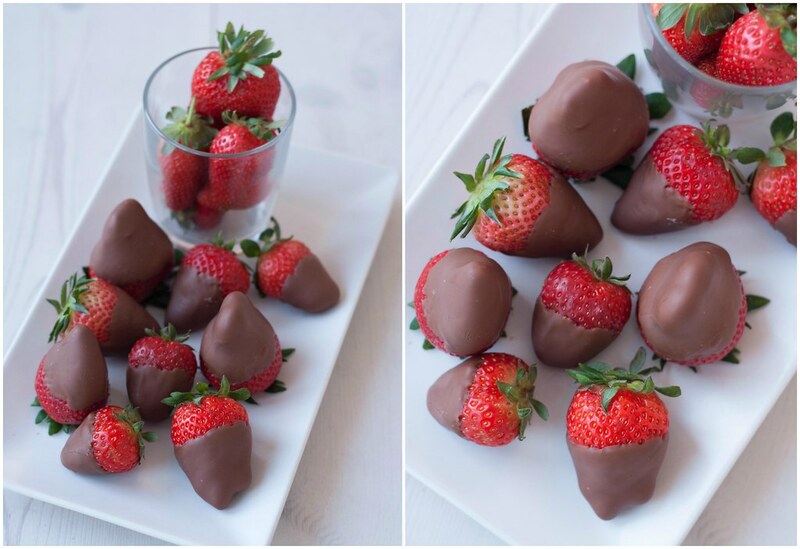 Try using a bowl that is not too large – then it’s easier to dip the strawberries in the chocolate. 3. 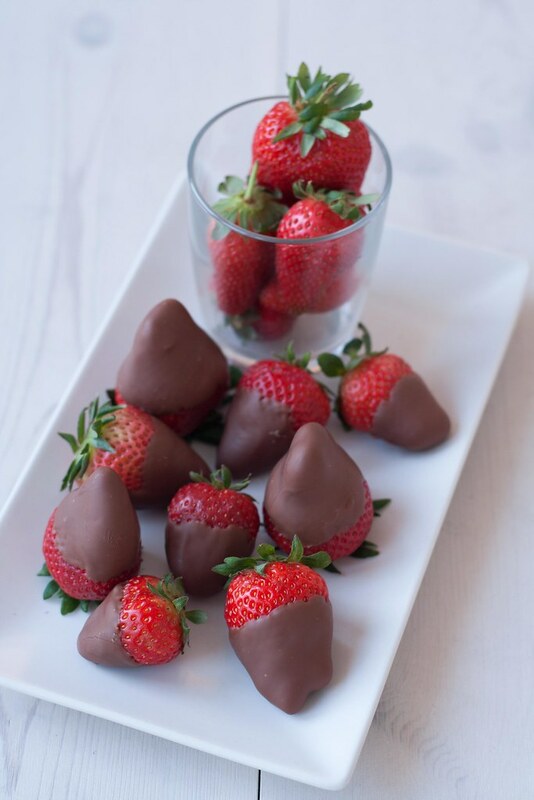 Dip the tip of the strawberries in the melted chocolate and place them on a chopping board covered with parchment paper. 4. When the chocolate is hardened; the strawberries are ready to be enjoyed.